Air fryer chicken coated with a sweet and spicy dry rub is really juicy and as good as deep-fried version. It takes only 15 minutes to make and totally a guilt-free appetizer. 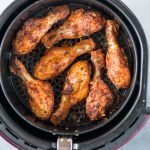 How about some juicy Air fryer Chicken tossed in an epic dry rub?? 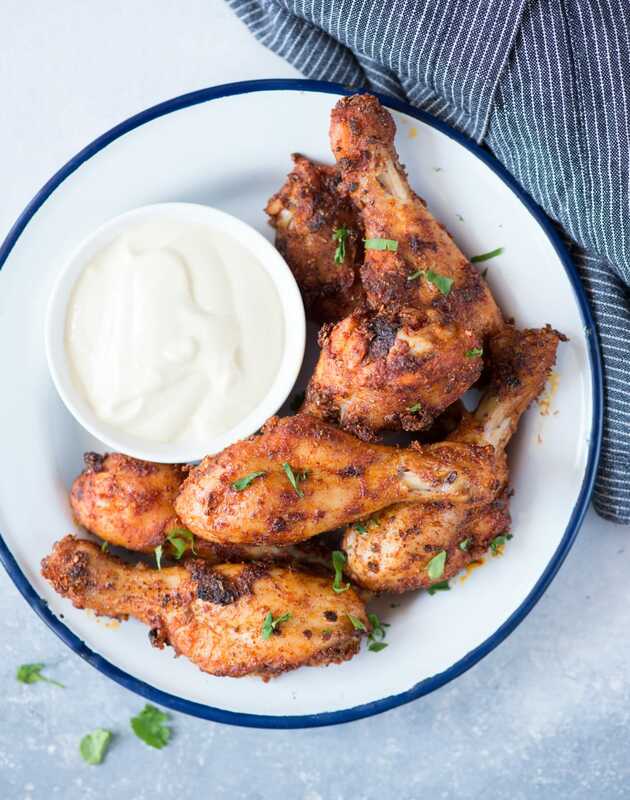 These Air fryer Chickens are not the only finger licking good but also is the healthiest. You need just a teaspoon of oil for these. 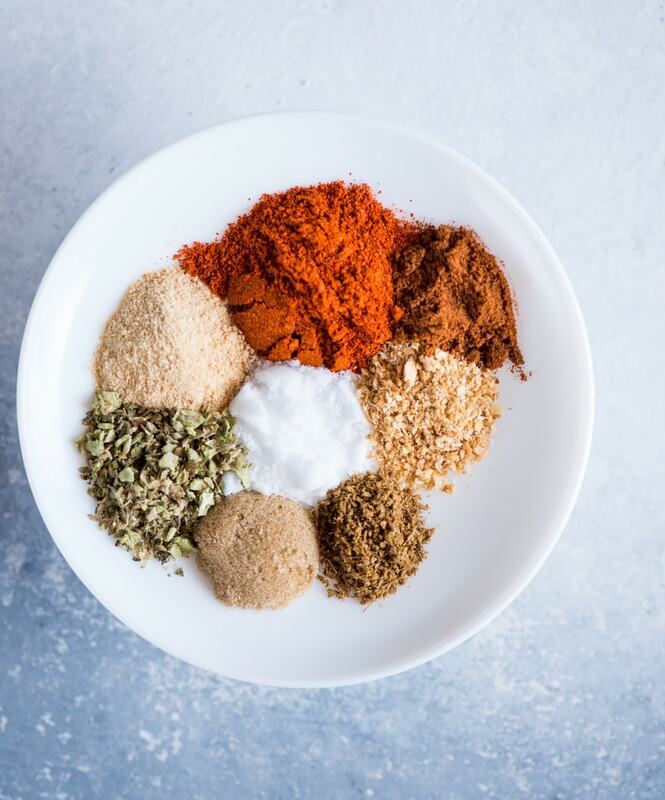 The dry rub is smoky, spicy and very easy to make. I served this with Honey mustard Mayo dipping sauce. You can serve a light salad or a coleslaw like this Apple Coleslaw on along with it. Air fryer is a magical gadget you can have in your kitchen. It’s small, handy and can be easily carried around. It uses hot air circulation technique to cook the food. 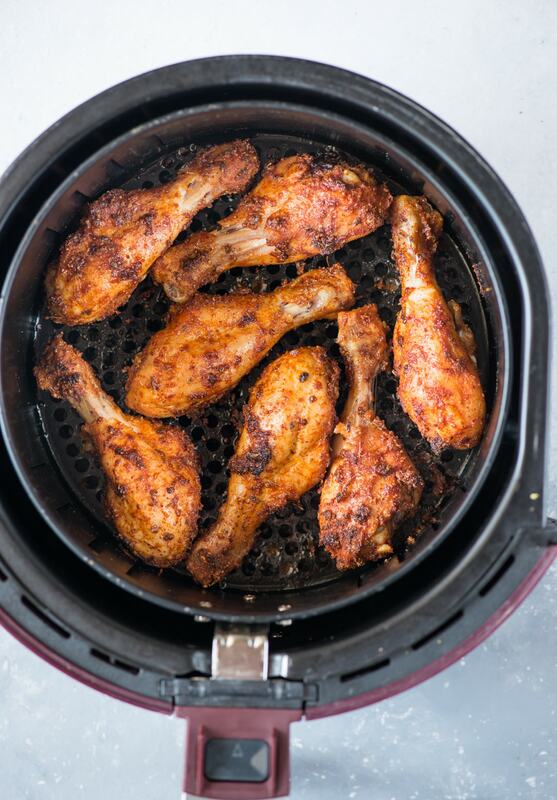 So you can use an air fryer instead of an oven for many recipes. I love to make french fries, potato wedges, chicken kebab and this dry rubbed Chicken. Know Your Air Fryer: Every Air Fryer is different and comes with slightly different controls and settings. Basic ones come with a temperature controller and a timer. The controls are really simple and user-friendly. How long to Air Fry Chicken? Well, this depends on a number of factors. What kind of chicken cut you are using? With or without bone? How big are the pieces? On average, it takes about 20-30 minutes to air fry the Chicken. The cooking time also depends on the kind of marinade used. For wet marinade, it takes a little more time. In this case, because I have used Dry marinade it takes about 15-20 minutes to fry. For Perfectly cooked Chicken: Hot air circulation technology in air fryer cooks the chicken evenly and keep juicy. 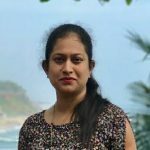 But here are few points to keep in mind. Make sure the chicken is at room temperature. If using frozen chicken, thaw it before cooking. Before applying the spice rub, pat the chicken dry with a kitchen towel. So that the dry rub would stick to the chicken evenly and while air frying the outside is crispy. Air fryer comes with a smaller capacity. So cook in batches. If you overcrowd the container, the hot air will not reach and distributed properly. So make sure chicken is kept in a single layer with some space in between. For even cooking flip the chicken in between. Pat dry chicken and remove any extra moisture from the chicken. Mix all the dry seasoning ingredients. In a Ziplock bag add Chicken, Seasoning mix. Shake well to coat chicken with seasoning. Let it rest for 30 minutes. Meanwhile, preheat the Air fryer for 10 mins at 200-degree Celsius. ( set the temperature to 200 degrees Celsius and set the timer to 10 mins). 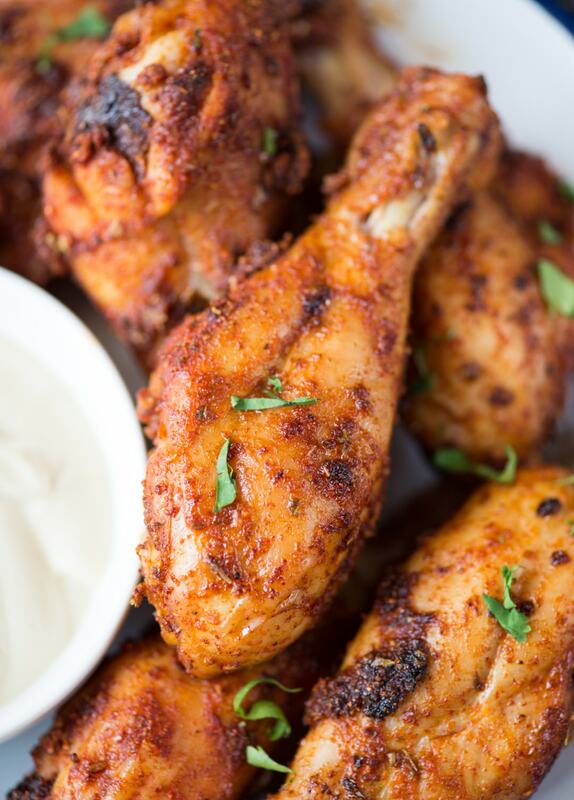 Arrange spice rubbed drumsticks in a single layer spacing little apart from each other in the air fryer pan. Cook for 20 mins, flipping in between until the chicken looks roasted from all the sides. Repeat the same with rest of the chicken.